Comments: Ipomoea kotschyana Hochst. (Convolvulaceae). 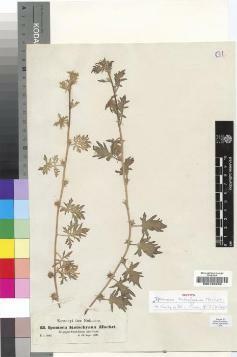 Image of herbarium specimen held at Royal Botanic Garden Edinburgh (E). Specimen barcode number E00193299. 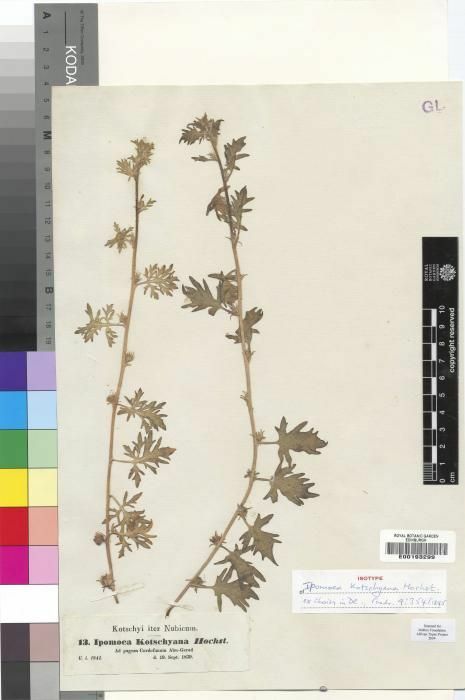 Specimen collected from: Tropical Africa. Collected by: Kotschy, Carl (Karl) Georg Theodor #13 Collected on: 1839-09-19 This is a low resolution version of the image.